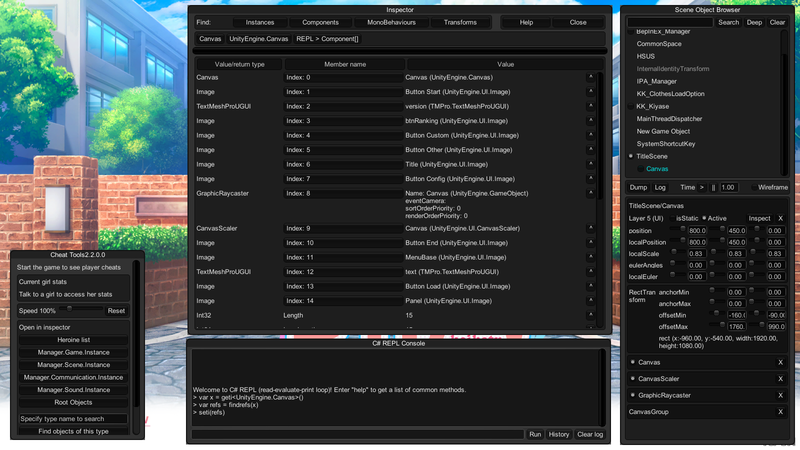 In-game inspector, editor and interactive console for applications made with Unity3D game engine. It’s designed for debugging and modding Unity games. This is a BepInEx plugin. It requires BepInEx v4 or later. Grab it from here and follow installation instructions. Download the latest build from the Releases page. To install place the .dll in the BepInEx directory inside your game directory. To turn on press the F12 key when in-game. A window should appear on top of the game. If it doesn’t appear, check logs for errors.